From AWP: Each year, AWP holds its Annual Conference & Bookfair in a different city to celebrate the authors, teachers, writing programs, literary centers, and independent publishers of that region. The conference typically features 450 readings, lectures, panel discussions, and forums, as well as hundreds of book signings, receptions, dances, and informal gatherings. More than 10,000 writers and readers attended our 2012 conference, and 600 exhibitors were represented at our bookfair. AWP’s is now the largest literary conference in North America. We hope you’ll join us in Seattle in 2014. 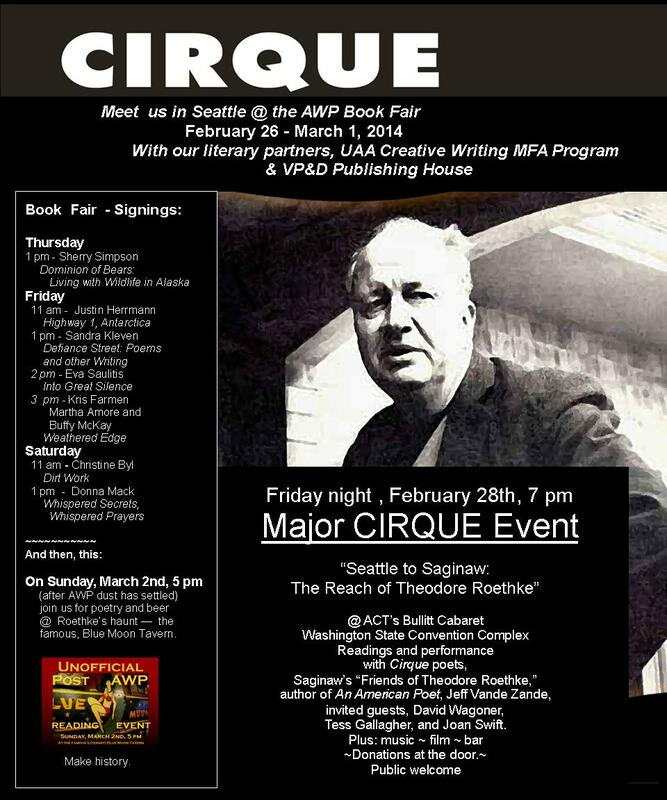 Cirque's presence at AWP, 2014, includes Bookfair Booth # 725, shared with the UAA Creative Writing MFA program and VP&D publishing house. There will be signings at our booth, listed below and on Friday night, February 28th, the big show - details, below. After AWP, join us at the Blue Moon Tavern, Sunday, March 2nd at 5 pm. Read poetry. 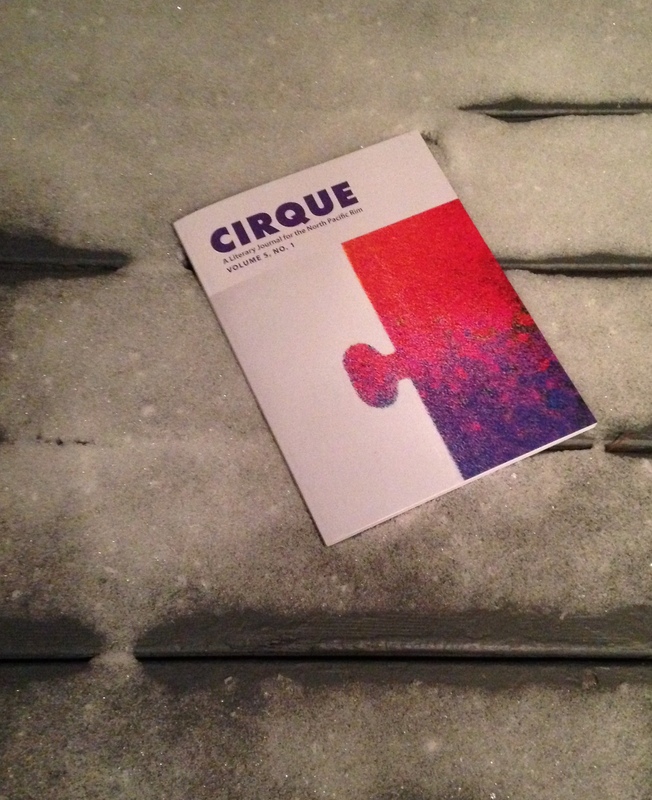 Cirque, published in Anchorage, Alaska, is a regional journal created to share the best writing in the region, with the rest of the world. Cirque invites emerging and established writers living in the North Pacific Rim—Alaska, Washington, Oregon, Idaho, Montana, Hawaii, Yukon Territory, Alberta, British Columbia. 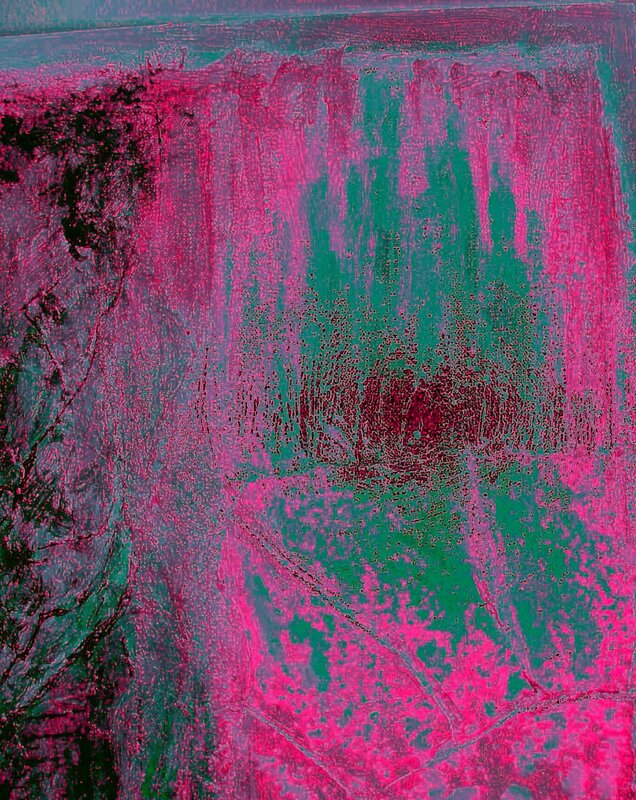 Cirque also publishes the best work of photographers and other artists. Some of the best writers of the North Pacific Rim are found in Cirque. In addition to publishing well-respected writers such as David Wagoner, J.I. Kleinberg, Christianne Balk, Polly Buckingham, Eowyn Ivey, Cirque encourages work from new and emerging writers. "High caliber writing, stunning visuals and dynamic editorial staff, make Cirque a jewel of a journal that should not be missed." ~ Carey Taylor, M.A, poet.